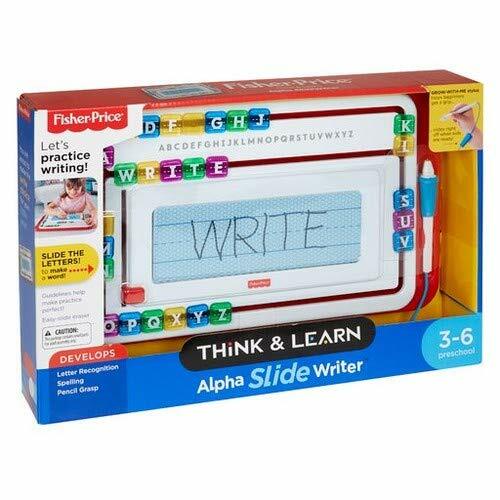 Practice makes perfect, and it's never been more fun to practice writing than with the Fisher-Price Think & Learn Alpha SlideWriter! 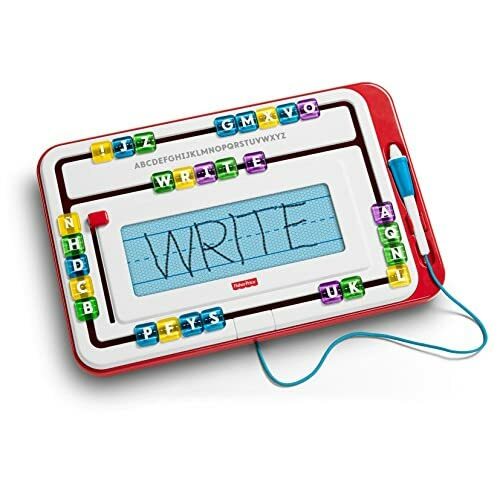 It brings hands-on fun to learning how to write and spell…and it's mess-free, too! 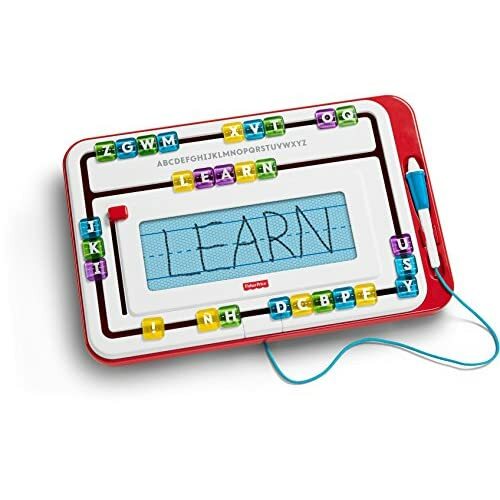 With the moveable tiles, kids can touch each of the letters and slide them around to make a word. 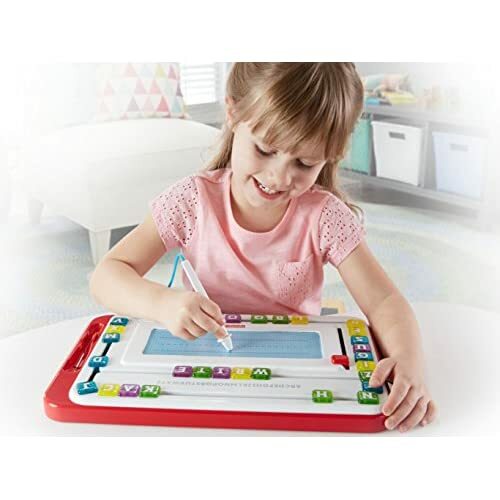 Then they can use that word as a model to practice writing, letter by letter, on the erasable screen. 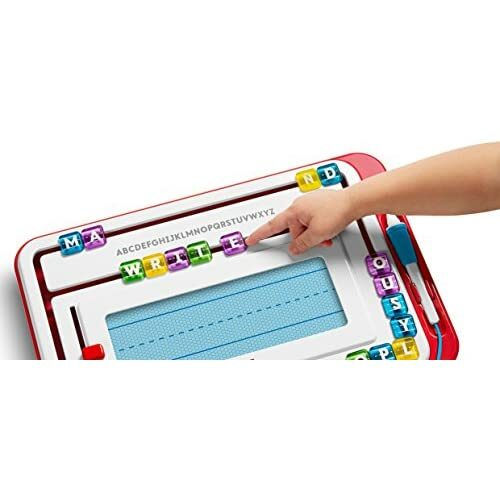 And there are printed guide lines on the screen too, so preschoolers know where to cross their T's and dot those I's! 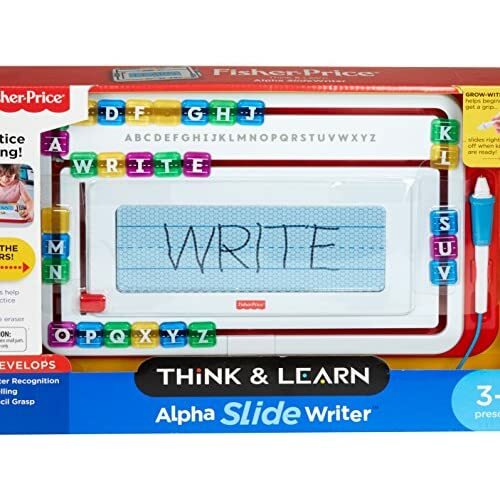 The Alpha SlideWriter comes with a specially designed pen that guides preschoolers into a correct (and comfy!) pencil grasp, helping them develop important fine motor skills. 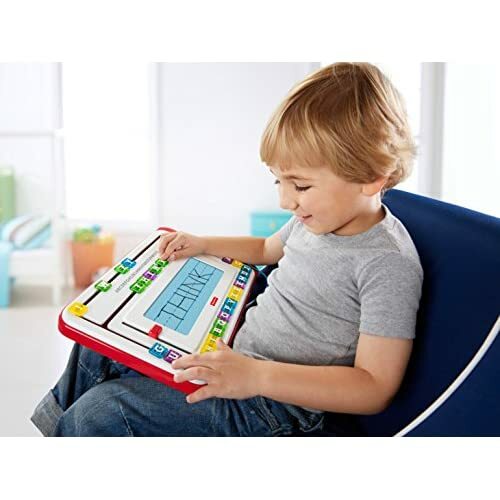 And when they've mastered that grasp, simply remove the triangle-shaped grip and store it on the back of the Alpha SlideWriter! Where development comes into play; Letter Recognition: Kids are introduced to each letter as they begin to manipulate and move them. Spelling: Once preschoolers can recognize the letters, they begin to slide them around to make familiar words. Dexterity: The pen was designed with growing hands in mind; a triangle shape guides little hands into a correct pencil grasp and can be removed when they're ready!